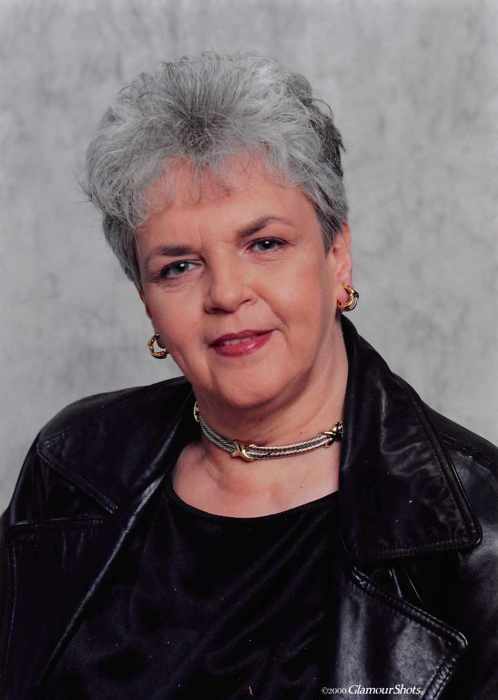 Niles - Patricia Walker, 78, passed away at 11:14pm on April 14, 2019 in Lakeland Health in Saint Joseph, MI. Patricia was born on August 28, 1940 in Chelsea, MA to the late James A. and Selena K. (Noseworthy) Brown. Patricia was also preceded in death by her husband, Lloyd “Barney” Walker and daughter, Margaret “Maggie” Harris. Patricia is survived by her daughters, Jodi (David) Whitaker and Cindy (Dale) Webber; son-in-law, Michael (Maggie) Harris; grandchildren Deane Loging, Faith Loging, and Zachary Harris; great-grandchildren, Rosalie Loging, and Dash Loging; brother, Aubrey “Cliff” Brown; and sister, Marion “Maze” Martin. Patricia was one of 9 children. She retired after 13 years of service from the Deli at Martin’s Super Market and had also worked at the American Legion. She was involved with dance classes for her girls, enjoyed their recitals, and watching Jodi play softball. She enjoyed crocheting and doing puzzles. She was very involved at the American Legion including Flag Detail at the Cemetery. Patricia was a big fan of the Boston Red Sox and the New England Patriots. She had a great love for the American Eagle and the American Flag. Visitation will be from 3-6pm on Monday, April 22, 2019 in HALBRITTER WICKENS FUNERAL HOME, 615 E. Main St., Niles. A Celebration of Patricia’s Life will be held at 10am on Tuesday, April 23, 2019 in the Funeral Home with Pastor Jeff Whittaker officiating. Burial will follow in Silverbrook Cemetery. In lieu of flowers, please make a donation to your favorite charity.